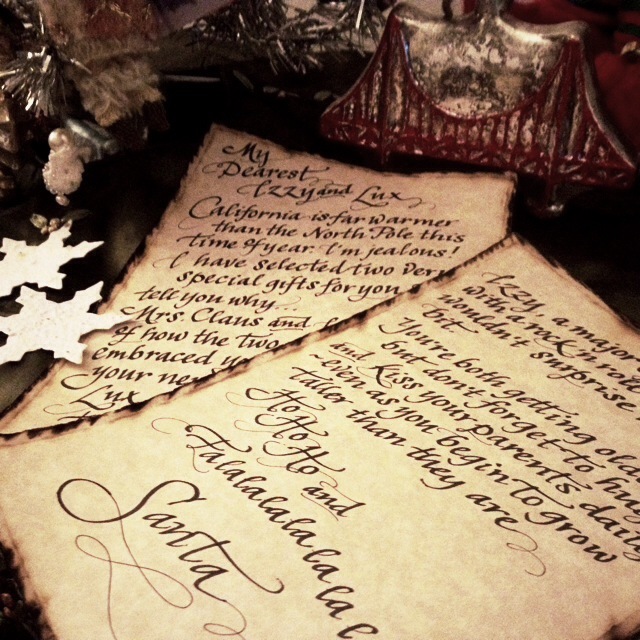 …for the past several years, I played the role of “Santa” – penning a letter to my client’s children. This is probably the last year that my client and I will be co-conspirators in this act of keeping kids believing in the sweetest lie of all. It’s been a great annual gig.